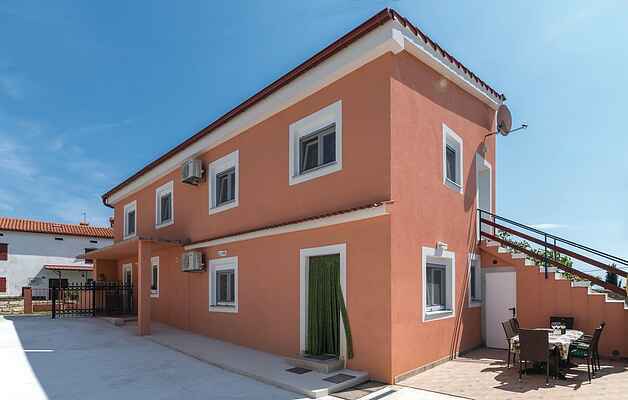 This pleasantly furnished holiday apartment is located in a small village called Peruski. It consists of two bedrooms, a bathroom and kitchen with living room. Discover the beautiful natural beaches with crystal clear sea or bath on the beach in Duga Uvala. We recommend exploring the interior of Istria and enjoying traditional Istrian cuisine in one of the taverns or restaurants. You can also visit cities such as Rovinj and Pula, which are rich in interesting events during the summer months.